Couriering a document is not the same as shipping freight. While you can easily hire almost any local carrier to deliver the documents to another city, you need some time to find the right freight delivery service. Moreover, what if your freight is too large and heavy? Or what if you need to ship very valuable and fragile items like antique sculptures or a collection of rare paintings? You need not just any freight delivery service but rather a company specializing in fine art shipping. Anyway, regardless of your needs, it is of utmost importance to deal with only professional freight delivery companies. After all, when you select a trusted shipper, you enjoy extensive benefits. So take your time to look for the best freight delivery companies able to meet all your shipping needs and requirements! 1. Extensive experience. Whether it comes to national or international shipping of valuable freight, it is always better to work with experienced shippers who know exactly what to do in order to prevent delays or any other possible problems. 2. Broad network of partners. Only professional freight delivery companies have a broad network of international partners, meaning that you can ship your freight to anywhere in the world in the most seamless and effective way possible. 3. Modern tracking system. Most freight delivery companies also provide their clients with the ability to track the shipment and monitor the current location of the freight, so you will always know if there is any delay. 4. Safe shipping. Only a professional freight delivery company can guarantee that your shipment arrives at the destination in the same condition that it left. This is particularly important if you are shipping fine art or any other fragile cargo. 5. On-time delivery. One more advantage of working with expert freight delivery companies is that it is the only way to ensure that your shipment arrives not only in its perfect condition but also on time. Besides, it is worth noting that the right freight delivery service can save you lots of money in the long run. 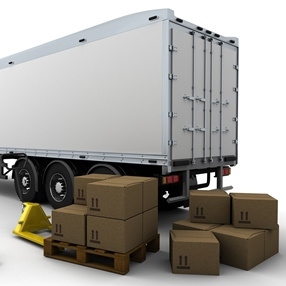 Plus, there are many freight delivery companies that offer packing and shipping services at very reasonable prices. For example, you can easily verify this by requesting a free quote from Fine Art Shippers. Our services are not only high-quality but also affordable!